For reference, my sons are 8 & 10. We didn’t have an iPad until they were older so it wasn’t an issue. There were televisions but not really electronics. 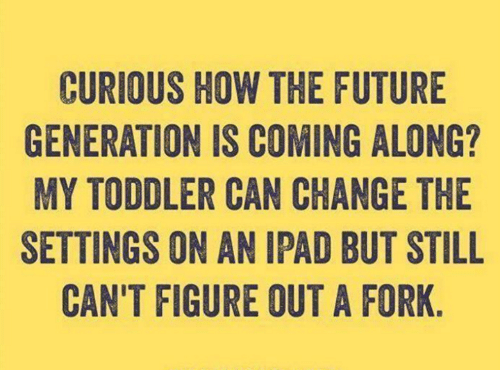 And it seems most of the anti-electronics professionals we’ve encountered are either childless or had their children before the digital revolution. They also don’t have the considerations modern parents do with the nanny state. 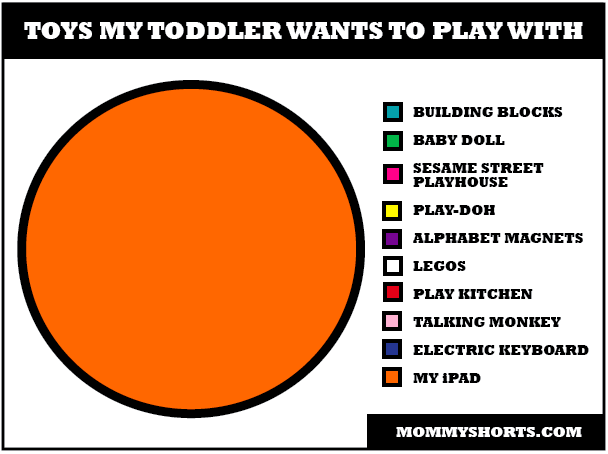 I mean, by this, how often parents are harassed for letting the kids just play. Locally we had a mom face the wrath of the state via CPS (Child Protective Services) for letting her kids play in the front yard by themselves at 6 years old. I think this fear mongering and lack of time to be kids is going to be harmful for society in the long run to be honest. Omg, yes on the over protective police. We have a park at the end of our block. Large field kids play soccer in, play park with slides, whole bit. But, even people with older kids don’t let their kids go down there to play alone after one mom got in trouble letting her 10 years old daughter walk the block down there to play and gave her a cell phone to call in case of trouble. When I was a kid, we roamed the neighborhood on our bikes. And the neighborhoods weren’t any safer than ours is now. It’s no wonder why kids are inside more these days. I was probably one of the last of the ‘latch key kids.’ It helped teach me independence…. it’s a shame how we’ve devolved on this front. For reference, my son is 26. 😉 So for us, it was stopping him from watching Teenage Mutant Ninja Turtles so he would stop kicking the furniture when he was very young. I’m a computer programmer that worked his way up to that from systems engineer, (No college, just Army electronics training.) so my son tended to have hand-me-down computers that were still better than what most adults had. We were able to control his “screen time” pretty easily early on. There were a few times that I had to take the power cable off of the computer, but that was rare. Back then, the trend was making sure kids were computer literate, not trying to get them away from them. I’m glad we made the investment because the school he is teaching leans heavily on the teachers to be tech literate and he has remarked on how some of the older teachers still have problems. I too dislike how housebound kids are and how parents are terrified of kids being outside and alone. I have an older blog post about riding my bike to the next town to buy comic books when I was 10 years old. That would be the lead story on the local news these days. Seriously, it would, and CPS would be threatening to take you from your parents. Nice post. I was raised with a LOT of independence. On another note….I’ve nominated you for the Blogger recognition award!